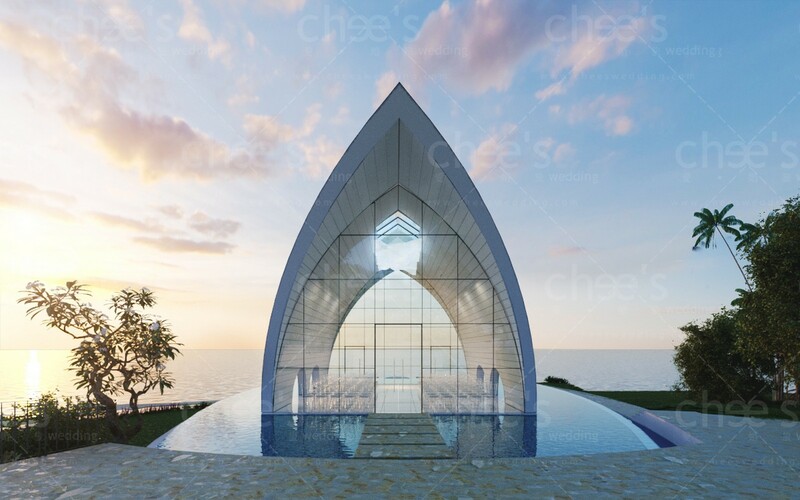 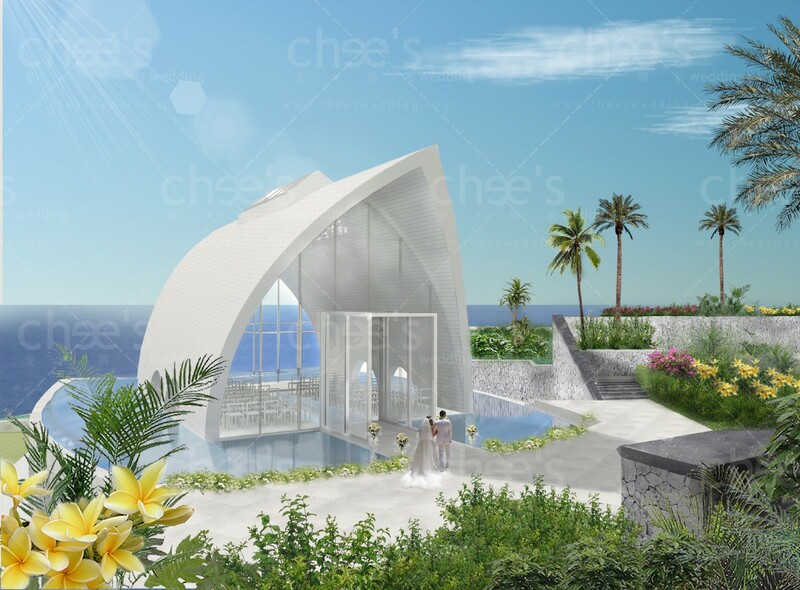 Majestically towering above AYANA’s shimmering Indian Ocean, Tresna wedding chapel in Bali is a dramatically illuminated chapel that promises to fulfill the wedding ceremony of your dreams. 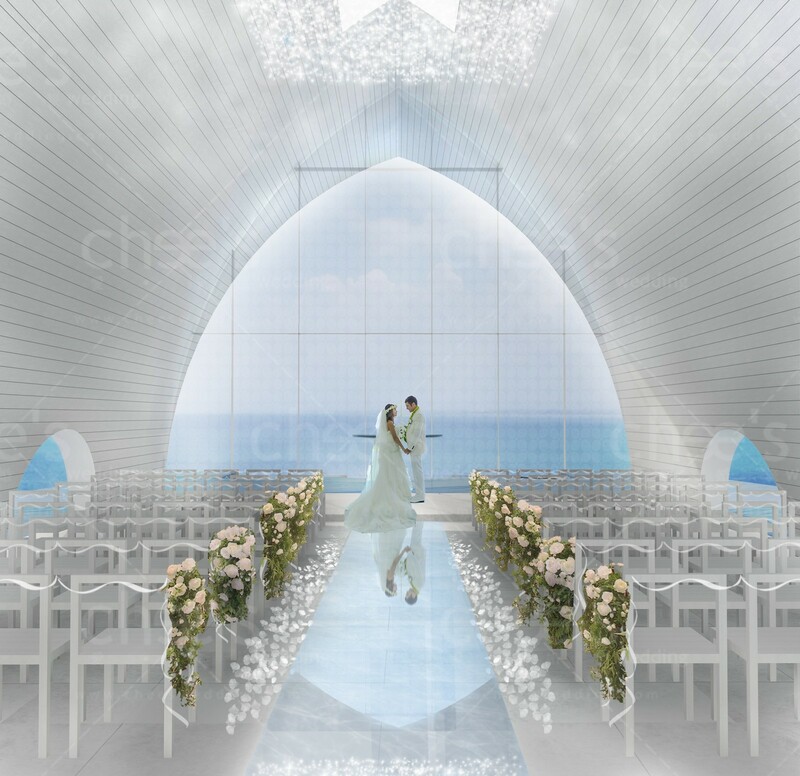 One of the most stunning design features of Tresna wedding chapel is a see-through glass aisle with a flowing, stone-lined river underneath that leads to a magnificent glass altar. 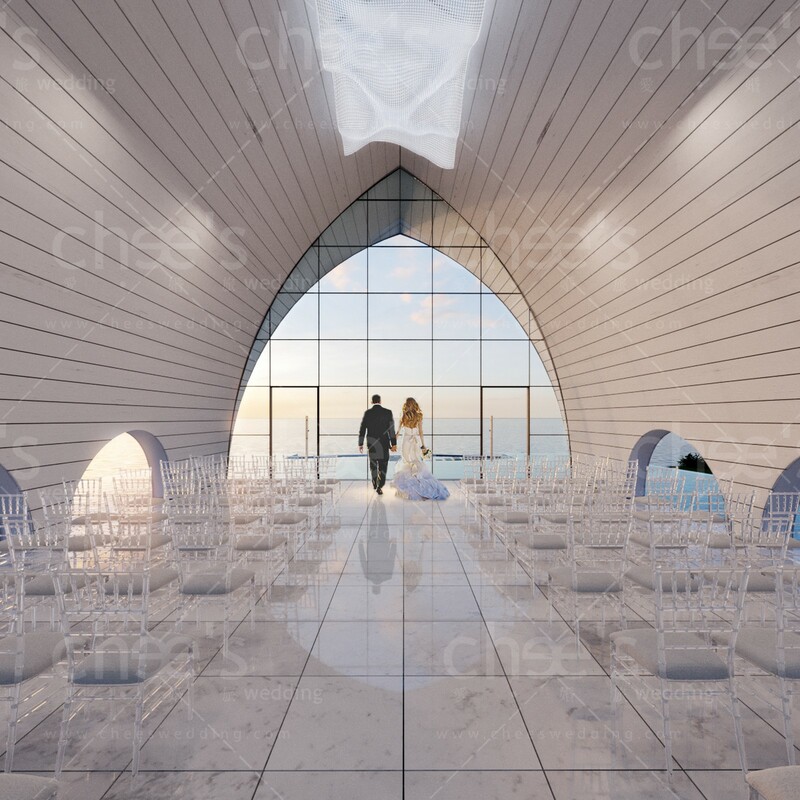 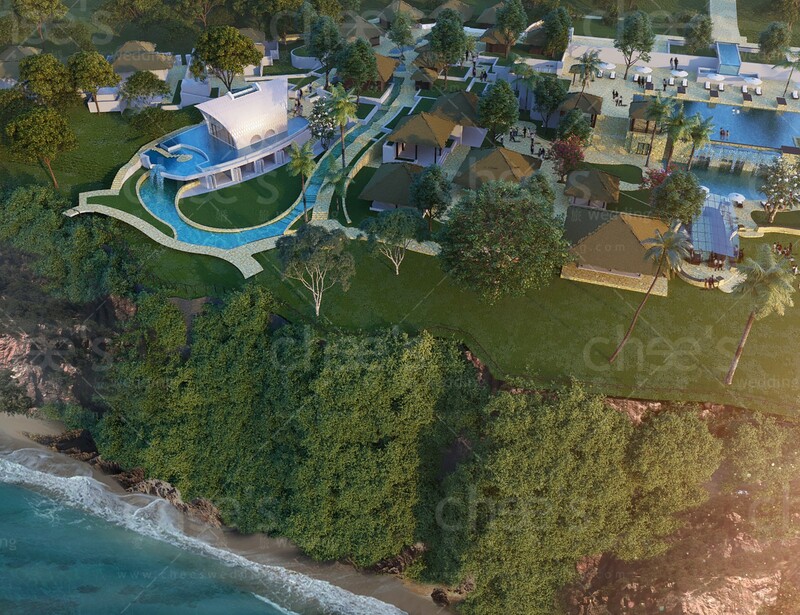 As an added touch of sophistication, Tresna wedding chapel offers a private driveway and porte-cochere.